WHEN WE MET, IT WAS MURDER!!!! and now Jose Ignacio Valenzuela, aka José Ignacio “Chascas” Valenzuela, has asked me to share his presentation of his thriller “To The End Of The World” at City Lit Books in Chicago on October 6, at 5:00 p.m.!! 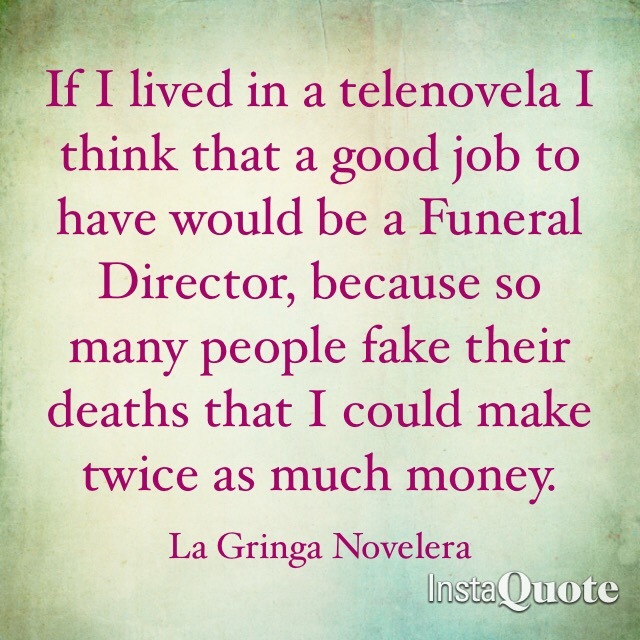 I’m #lagringanovelera, also known as Karen Kerbis, a Chicago prosecutor learning Spanish from telenovelas and writing about them every day! How did a Chilean author & I find each other? Come to City Lit Books at 2523 North Kedzie Avenue, in the heart of Chicago’s Logan Square, to hear our presentation of Jose’s first book to be translated into English, “To The End Of The World,” and you’ll learn the answer to that mystery!! Author karenknnPosted on September 23, 2018 September 23, 2018 Categories Books, Chile, Learning Spanish From Telenovelas, movies, Mysteries, New Ways To Learn Languages, Patagonia, telenovelas, Telenovelas on Telemundo, UncategorizedTags Books, Bookstores, Chicago, Events, Law, Learning a new language, Learning Spanish, Logan Square, Telemundo, Telenovelas, Television, TV Azteca, WritingLeave a comment on WHEN WE MET, IT WAS MURDER!!! !